Highly recommend this dealership for friendliness and efficiency right to handing over the keys to my lovely red Kia Soul. I dealt with Rocky - their #1 sales superstar and a super nice guy too. He does talk a lot but he's not a BSer which is a delight in the car business. Very helpful and friendly and ALWAYS kept me in the loop as to the status of my car delivery which I really appreciated! Well done Rocky, no wonder you're salesperson of the year! 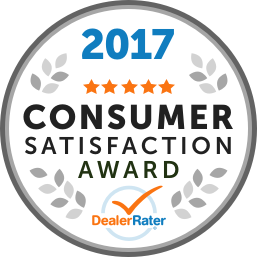 "New vehicle buying review "
Just wanted to say a few words of appreciation to Needu, car salesman who helped us through this process from start to finish. His professional approach made all the difference. There was no buying pressure put on us at any point and answered all our questions in a courteous and timely manner. "GREAT CARS!!! EXCELLENT CUSTOMER SERVICE!!!" The saleman, Alvin Chang is the best saleman I have ever met. He is very frendly. The dealershi[p gave me a good deal. I am happy with my SORRENT EX 2019. Very good SUV. Thanks Alvin, Good Luck for your business and Family. "Great Purchase Experience - My 2019 Forte!" Being a 2nd-time purchaser of a new Kia Forte, I already knew a lot about what to expect from the 2019 model. So, my only questions concerned the many new features available. Needu answered all my questions and was professional, attentive, friendly and gracious throughout the entire sale process. And he readily accommodated my change in colour and my vehicle pick up time. Now that I've driven my new car a few days, I am increasingly impressed with the improved drivability of the 2019 Forte. I should also mention that with my previous purchase (from a different Kia dealership), I learned firsthand that Kia stands behind their vehicles and customer satisfaction 100%. So once again, I am confident and happy knowing I've made a very good purchase. Many thanks, Needu. The sales consultant Matthew Klepkais excellent but the manager Vinny Ngo is absolutely rude with no regard for customer service. I had the misfortune of visiting them today on 17th Jan 2019 and I immediately regretted that. When I visited day before they told me interest rate is .99% on a demo Kia Sorento but they changed their offer today. That’s fine with me as it happens occasionally in business dealings. What really surprised me is his behaviour. He told me we are doing you a favour with the price and if you can’t afford it then please do not waste our time. He also said that his senior Mr. Sachdeva who is on vacation made the mistake with the price and he will make sure the price is corrected as soon as he’s back. I’m surprised the person like Mr. Sachdeva handling such a big dealership can make mistakes with price. I have no doubt it was only an excuse to be rude to us. I hope I never meet him again in my life as the experience was horrific. I suggest going to other dealership if you don’t want your dignity trashed. He’s the manager and he didn’t bothered to ask us to sit. He was sitting in his chair and kept on insulting us. I am deeply hurt and insulted as a human being. His behaviour is against Canadian Values, Morals and business ethics. I only have one message for them that you are not the only dealership of Kia Motors. Good luck with that attitude. "Best place to buy a Kia! " I needed a new vehicle, visited other dealerships then I met Rocky at QEW/427 KIA. My lucky day! He got me the car I wanted at an excellent price, when I wanted it, no pressure and was a pleasure to deal with. I will be calling Rocky when I need a new car and the other Kia dealership's I visited can't touch the service I received here. Highly recommend! I bought a 2019 Kia Soul and I love it! "October 16 2018 worst experience ever "
"Servicing - going over & beyond"
I bought a used Kia in May & in Sept. the check engine light came on. 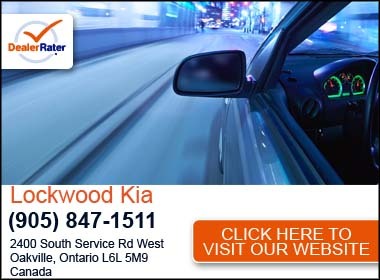 As 427 Qew Kia is far from where I live, I went to a dealer nearby, my vehicle still being under warranty. They kept me hanging for a week & then said they couldn't fix the problem. So I contacted Riyaz & he asked me to drop in the next day. He then changed the affected part as well as the other 3, & on top of that replaced the spark plugs. More than I expected! Thanks, Riyaz. I will definitely recommend you to others.